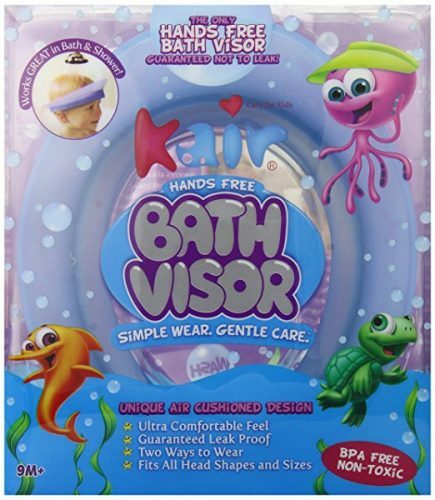 Do your little ones hate taking baths because soapy water keeps running into his/her eyes and faces? Kair is a brand new way to spell care for your babies and even you. With Kair Bath Visor’s unique leak proof air cushioned sealing design, you and your babies will be relaxed with a fresh experience of “simple wear, gentle care”. The air filled sealing tube acts like a semi-filled inner tire providing a comfortable air cushion between the wearer’s head and the headband. Moreover it utilizes the air inside the sealing tube to distribute the gentle pressure evenly along the wearer’s hairline to achieve a consistent sealing effect. 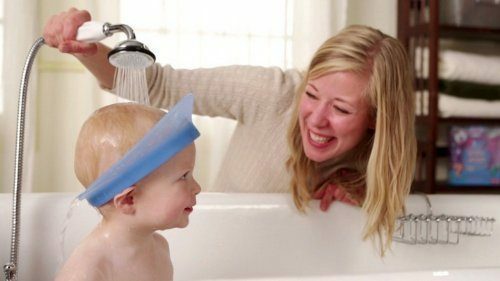 It is great for older kids to learn (or adults) to wash their own hair in the shower. All external parts are made of soft silicone rubber to ensure it is safe, durable and comfortable for babies. One size fits all!